Kumaran Akilan presented his research on using a smartphone to potentially diagnose Alzheimer's disease at the Consumer Electronics Show in Las Vegas in January. Alzheimer’s disease affects people all over the world and Kumaran Akilan’s family is no different. As the first-year student from Cupertino waits to see if his grandfather’s mild cognitive impairment is indeed Alzheimer’s, Akilan has been busy deciphering a new way to diagnose the disease — with a smartphone. With the help of a friend, Akilan recently developed a computer-vision algorithm that extracts the retinal vessel system and determines abnormalities that can help detect the presence of Alzheimer’s. “You can’t stop what has already happened, the only thing you can really do is to help people in the future,” the computer science major said. “My grandfather’s symptoms show Alzheimer’s, but he hasn’t been diagnosed yet. Akilan has teamed with Queen’s University in Belfast, Northern Ireland, to test the algorithm. His connection to the university stems from his initial research, where he discovered a university research paper on the subject. The paper discussed how retinal vasculature is the only openly observable vessel network. Changes in the cerebral brain vessel network manifest there because they are connected. Alzheimer’s affects the cerebral brain vessels, so changes should be mimicked in the eye. “The current method of determining the presence of Alzheimer’s doesn’t technically diagnose it,” Akilan said. “MRIs and CT scans eliminate other possible explanations. Even after insurance, they cost thousands of dollars. Instead we wanted to utilize a smartphone-based approach." 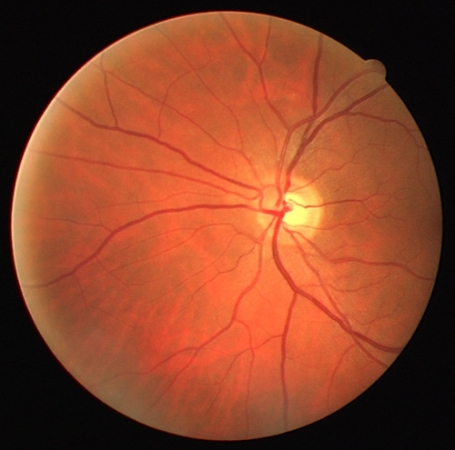 The algorithm developed by Akilan extracts data from a fundus image of the retinal vessels of the eye and classifies abnormalities that can help diagnose Alzheimer's disease. Along with cutting costs, the goal of Akilan’s project is to provide primary care physicians with tools to begin the Alzheimer’s diagnosis process instead of having to go through the multi-step elimination process. He’s working with developers to create an ophthalmic lens that offers a fundus image of the retinal vessels. The algorithm then extracts data from the image of the vessel network and begins the classification process. Early Alzheimer’s diagnosis will enable more people to test treatments that might slow the disease’s progression and to give people more time to plan for care. As of now, there is no cure for Alzheimer’s. Akilan is working with UC Merced’s Venture Lab to secure capital and investors — with a patent pending on his algorithm. Though Akilan has only been working on the project for nine months, he has already made waves in the digital tech world. 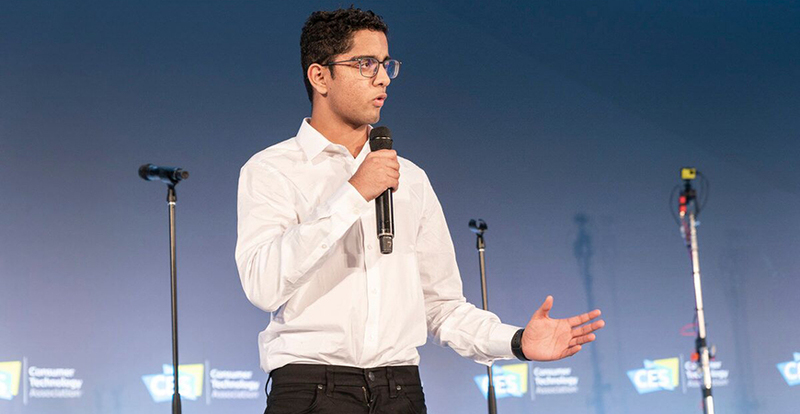 With the help of a recommendation from Schuerman to the Consumer Electronics Show selection committee, Akilan presented his work at the Las Vegas event in January as part of Living in Digital Times’s Young Innovators to Watch. He was one of five presenters — 18 years of age and younger — who also got to meet with influencers in the digital health field, lawyers, journalists, researchers and biotech entrepreneurs. “It was definitely a cool moment, but it’s an ongoing process,” said Akilan. “A milestone doesn’t mean what you are doing will succeed, but it definitely is a sort of external validation that I needed to make sure I was on the right track.